HOUSTON (KTRK) -- Two people are dead after a shooting at the Crystal Springs apartment complex in southeast Houston. It happened in the 5900 block of Selinsky at Sesame. Family members tell Eyewitness News the victims are Glen Williams in his 50s and his 24-year-old son, Carl Williams. They say Glen Williams was at the Corner Food Mart down the road from the apartment complex around 4am when he got into an argument with a woman he was with, and another man began arguing as well. Still images from surveillance videos show another man was also at the convenience store at the same time as Glen Williams and he pulled out a weapon and pointed it inside the store. Carl Williams picked up his father at the store and took him back to the apartment. Family members say victims were followed home after an argument with someone at the Corner Food Mart down the road. Shots were fired and both men jumped out of the vehicle, one collapsed near the apartment door while the other collapsed 30 yards away. Clifford Maxey, Glen Williams' brother, said, "I think somebody followed them and ambushed them." 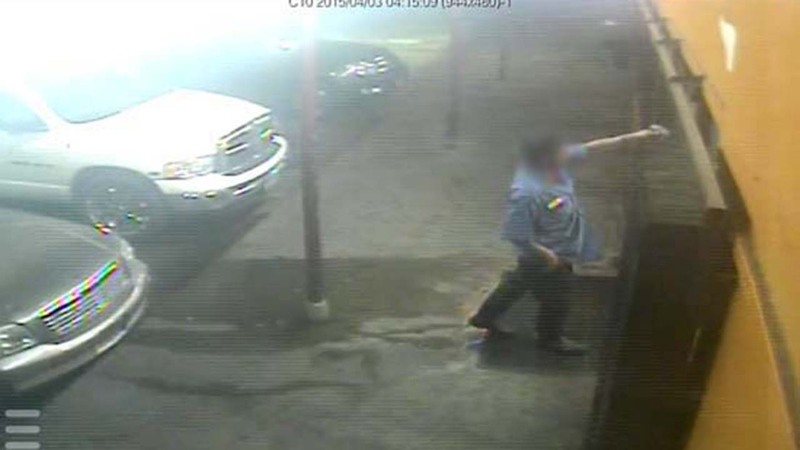 Surveillance video stills show a possible suspect at a convenience store pulling a gun. The convenience store clerk says, "It's sad for me, like I miss (Glen) now. Definitely miss him. He was here every day, every day. He helped me with $2,000 when I was down and then I paid him back. He helped me right away."